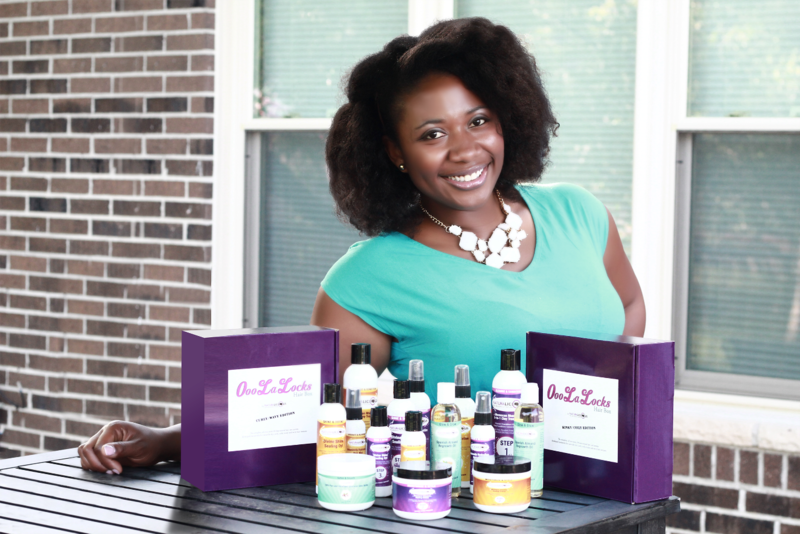 Gwen Jimmere is the kind of woman that people admiringly refer to as a “go-getter.” Gwen is the creator of Naturalicious, a genius system of natural hair products. You may recognize her face and name from all of the articles being written about her lately – Gwen is the first African American woman to own a PATENT on a natural hair product. Click here to read all about that accomplishment via Black Enterprise and Madame Noire. When I first heard that information, I was shocked. 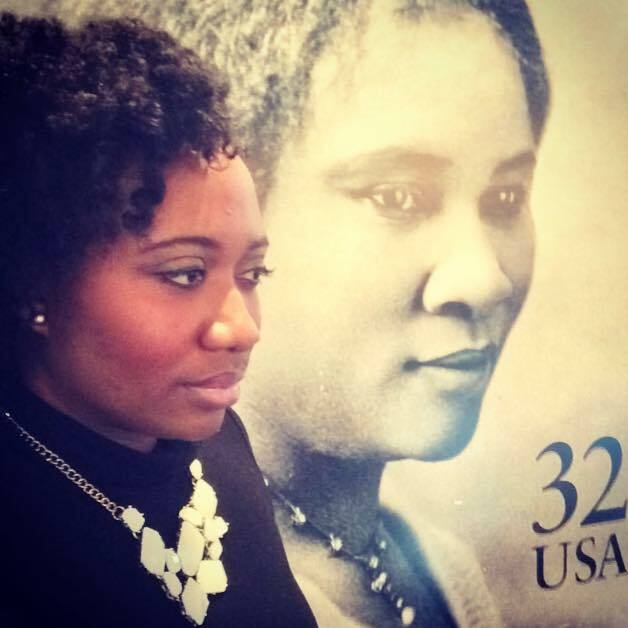 How could it be 2015 and this is the FIRST African American woman with a patent on a natural hair product? When I first interviewed Gwen, she broke it all the way down for me. And please note, Gwen is not a chemist, and she is not a lawyer. Her background is in marketing. Gwen is a normal person, but she is tenacious and focused. She gets that from her mama. Gwen was raised in a household where if they didn’t have something, they would try to make it themselves. “My mom can do anything – she can lay concrete, dry wall, make natural products…anything,” says Gwen. Because Gwen grew up in a household where they make a lot of stuff, she was familiar with bentonite clay. 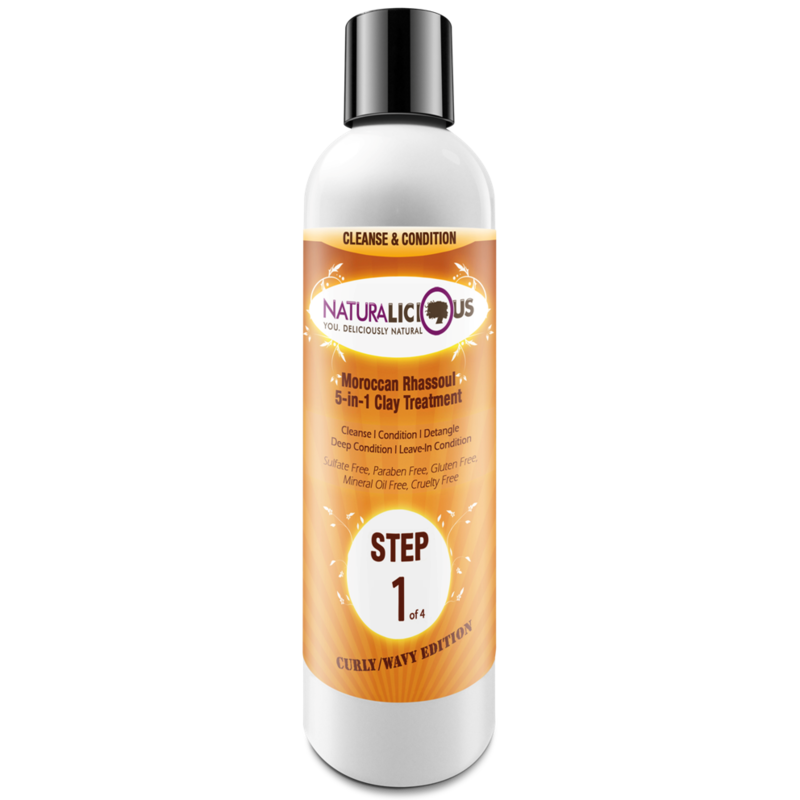 She knew she wanted to make a natural hair cleansing product with no sulfates. She was playing with ingredients at home when she discovered rhassoul clay. “I learned Cleopatra used it on her hair,” Gwen explains. So she decided to try it. When she tried the rhassoul clay, she was amazed at how soft and residue-free her hair was. And then she started adding the oils like her mom had taught her to do. In case you’ve never tried Naturalicious, let me break down the concept. Gwen devised a 4 step system, 4 products that do the work of 13 products. You shop by hair type – Coarse Hair or Fine Hair. Turns out I’d be categorized as Fine Hair with Naturalicious. Step 1 is the Moroccan Rhassoul 5-in-1 Clay Treatment, which I LOVE. This product works as a purifying cleanser, a smoothing conditioner, a detangler and a deep conditioner that also does the work of a leave-in conditioner. I’ve only been lucky enough to try Step 1 thus far and I can tell you I loved what I tried. Honestly I was lowkey skeptical before trying it, but the Naturalicious 5-in-1 treatment made me a believer. It has amazing slip for conditioning and detangling, plus it leaves my hair soft and clean but not squeaky clean and depleted of natural oils. 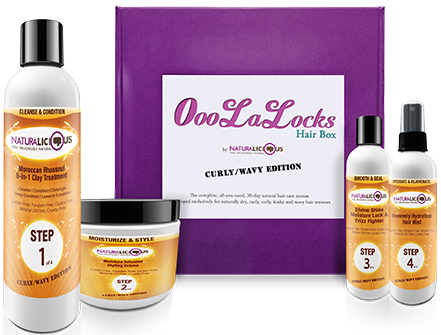 It’s so ideal for any natural hair lover who works out often or stays active and wants to wash their hair regularly without drying it out. To me Gwen’s story is truly inspiring and compelling, because she proves that you don’t have to be someone who has an in depth background in chemistry or anything to make a product, and you don’t have to be an attorney to pursue getting a patent for your creation. That isn’t to say Gwen hasn’t had help along the way — when she got to Whole Foods she worked with a chemist to perfect her formula. When it came to seeking out a patent for her burgeoning brand, Gwen put in the work herself. “I’m a single mom, I have a son, I have a business. I don’t have a 9 to 5 to supplement my business. I spent a good 6 to 9 months at the library just learning patent law before I even applied for it. With a lawyer, it can be expensive. If you do it on your own, you can afford it. I spent about $2000. But I also spent the better part of the year trying to learn how to do it,” she says. “Four days a week, I spent an hour at the library. Some libraries have dedicated intellectual property librarians. Usually they’re at the bigger libraries in big cities.” Gwen found a intellectual property librarian in Canton, Michigan and went to work. This was no overnight success — after she applied for her patent, it took another 15 months of waiting. Getting your patent can take a long time and a lot of effort. But Gwen invested the effort and the time, and the rest is history. She. Did. That. Gwen wants more entrepreneurs to know and understand the power of the patent. Being the owner of her patent means that if Gwen ever chooses to sell her company, she will still own her patent and get royalties from each sale. “I can license it right now. Or I can license it if I sell it, because the patent itself is valuable…There’s a lot of value in intellectual property. If you created something and you have excellent utility or design and you put that out there, someone else will try to duplicate it and you gon be pissed off,” she says. No lies, Gwen. All truth. – DON’T use internet resources in your research, because there are so many falsehoods out there. Go to the library. Seek out knowledgeable and helpful librarians, they can really help you! Gwen’s main testimony is grounded in reality. The lesson she teaches just by moving forward and executing is simple and irrefutable – if she can do it, so can any of us. So inspiring! In many of the glowing online profiles of Gwen, she’s often compared to legendary black hair care entrepreneur Madame CJ Walker. It’s a comparison that’s more than apt, and the folks behind her company’s original HQ agreed so much that they invited her to visit (check out MadameWalker.net). The comparison and invitation meant so much to Gwen. I had to ask her how it feels, to be compared to an icon like Madame Walker. “It’s huge. It’s such an honor. She was not only an incredible business woman but she created opportunities for other fellow women to own businesses and be financially self sufficient…She was a proud philanthropist and civil rights activist. What a truly phenomenal woman she was. Being compared to her is humbling and for her company’s original headquarters to have reached out to me, congratulate me and say that she would be proud of me was one of the highest honors I can imagine. She was the daughter of slaves and was expected to be a washer woman but decided that wasn’t what her life was going to look like and she DID something about it. She was the true definition of a boss,” says Gwen. And now Gwen Jimmere walks in those footsteps. Such a beautiful continuation of a legacy. To check out Gwen’s products, visit Naturalicious.net. Click here to check her out on Facebook, Twitter and Instagram – and Gwen’s REALLY into Periscope so definitely check out her scopes! Very inspiring! I love to see Black people as owners and not just consumers. I hope more of us follow Gwen’s savvy example.